Fights all kinds of wrinkles. 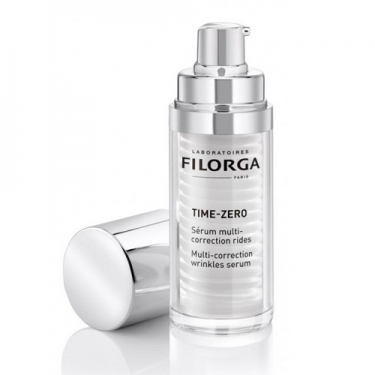 DESCRIPTION: Time-Zero Sérum Multi-Correction Rides by Filorga is an innovating serum that acts on all kinds of wrinkles. Formulated with the NCTF complex, Hyaluronic acid and Gluconolactone, it fights deep, fatigue and expression wrinkles. Renews the skin and also reduces fine lines. Day after day, the wrinkles are softened and the facer rejuvenated. Apply morning and/or evening to the face, before the usual care.